So after taking on the role of EVP for the Junior League and the hubs taking a new job for a start up we decided we had to switch up the home office situation. 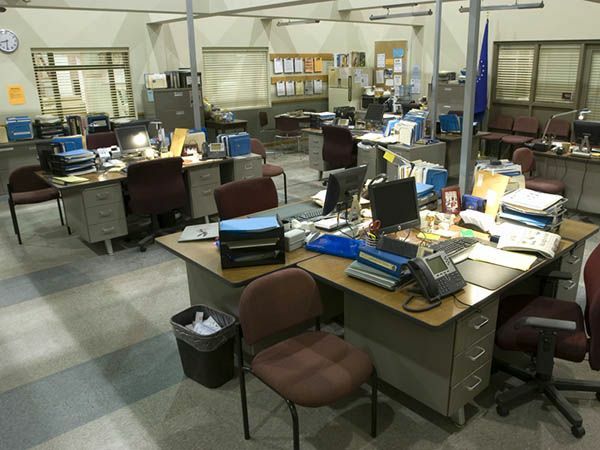 I don’t really have any pictures of our office before because it was usually a bottomless pit of papers to sort through, file, etc… but our friends referred to it as the detective office as we have the same desk and they faced each other like in a police precinct. We thought about it and decided it would be best to ditch our detective office and go our separate ways. With me keeping the office and the hubs moving his desk downstairs and creating his own “man cave” area. Win win really. While I would love to have my dream office I need to be realistic and work with the space I’ve got. If you follow me on Instagram you saw a small glimpse as my wall collage is coming together. Still got some work to do though and I really need a rug. I would love a faux sheepskin one, but with a black cat I imagine it staying pristine and white for like 5 minutes. So I’m welcoming alternatives, if you have any good ideas. I admittedly am not great when it comes to interior decorating so Pinterest is definitely my friend. Our office is so not organized and is sort of the catch-all room for things that we don’t know what to do with. We know we won’t be in this home long-term, though, so I don’t feel motivated to do anything with that room. But hopefully some day we’ll have a better office. It’s never going to be an actual office that we use all that much, though, since neither of us works from home much. I love the picture of your dream office, though! That’s exciting that your husband went to a start-up. I’m curious about how he likes it compared to working for a large, established corporation!! I bet the work is super interesting! !